Strike King Mini Pro-Buzz gets strikes when others won't. The Mini Pro-Buzz is equipped with a two blade prop for a more traditional buzzbait sound. 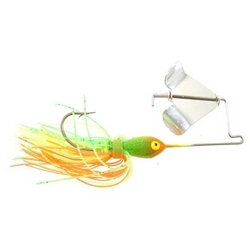 This 1/8oz Mini Pro Buzz is the perfect buzzbait for those Ultra Light Rods.